A Revit vector property is different to a Dynamo vector ‘object’. Dynamo can work with Vector objects to determine angles and so on. 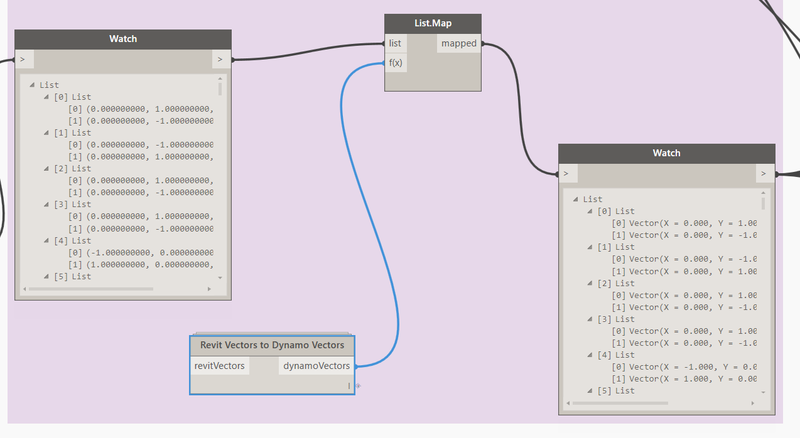 This node takes a Revit vector property and tries to make a Dynamo vector from it.